Aircrack Ng Windows 7 Tutorial Wpa Sources � Windows � Changelog � More downloadsDescription. 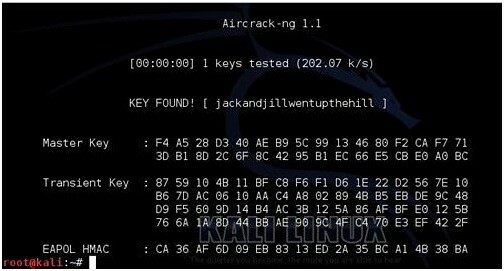 Aircrack-ng is an 802.11 WEP and WPA-PSK keys cracking program that can recover keys once enough In fact, Aircrack-ng is... Alternatively, open a command prompt (Start menu > Execute > cmd.exe) and change to the �C:aircrack-ng-0.9-winbin� directory and execute the individual commands. Remember that Windows only supports a limited subset of the commands. 9/06/2016�� Download Aircrack-ng Windows GUI for free. This is mainly just an interface tweak. Added function of mac address changer.... windows xp/7/vista/8. by Bito.dz jomgegar.com - Aircrack-ng Gui 1.1 Tutorial in Win 7. 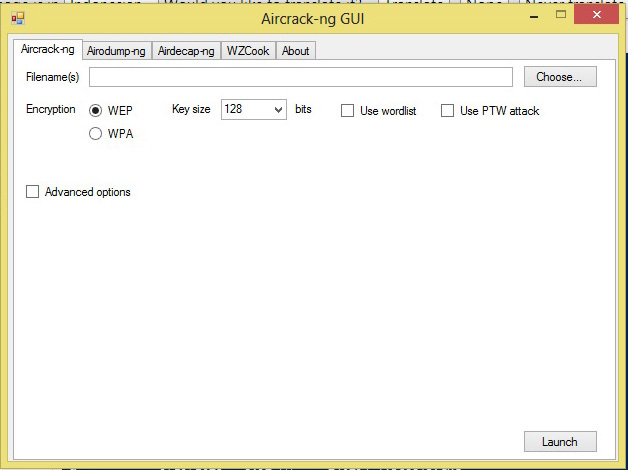 A.AIRCRACK NG FOR WINDOWS 7 14 ��� 2013 ������� � ����� �������� Aircrack-ng 1.1 - Aircrack-ng can Wireless Gui for Aircrack Wireless GUI. Type in terminal, aircrack-ng [.cap file] -w [wordlist], which in our case looks like aircrack-ng rootsh3ll-01.cap -w dict and aircrack-ng has cracked the password in one go. Aircrack-ng is the primary application with the aircrack-ng suite, which is used for password cracking. It's capable of using statistical techniques to crack WEP and dictionary cracks for WPA and WPA2 after capturing the WPA handshake. Aircrack-ng Windows Xp Manual This zip file contains binaries and sources for building it on windows. aircrack-ng-0.9.3-win. If you prefer to download manually peek files: Peek.dll and Peek5. Aircrack-ng Wep Tutorial Windows In this method, multiple techniques are combined to crack the WEP key: As well, search the internet for this information regarding linux and Windows systems.